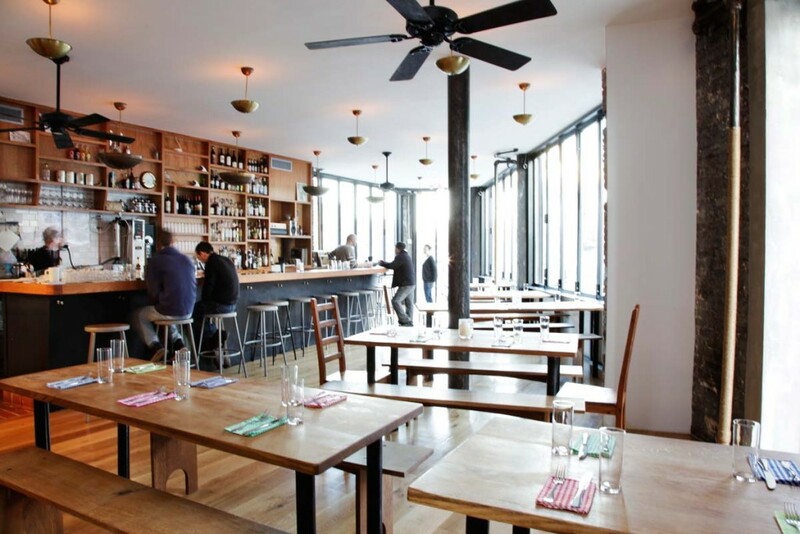 Tucked away on an unassuming corner in Williamsburg, Lighthouse is a shining beacon of hospitality, cuisine, and style. The open and airy space is marked by a communal style bar and large windows that filter natural light from corner to corner Working with local farmers and green-minded organizations, sibling-owners Naama and Assaf are heading an NYC restaurant scene driven by better, safer practices. The food and drinks deserve worthy mention with classic and modern cocktails served alongside nourishing New American dishes. This is the perfect venue for the couple that wants a relaxed get-together while lowering their carbon footprint. Imagine celebrating your new engagement alongside family and friends while enjoying breathtaking views of Times Square, the Empire State Building, Hudson River, and Hudson Yards. That’s the one-of-a-kind, exclusive experience offered at The Skylark. 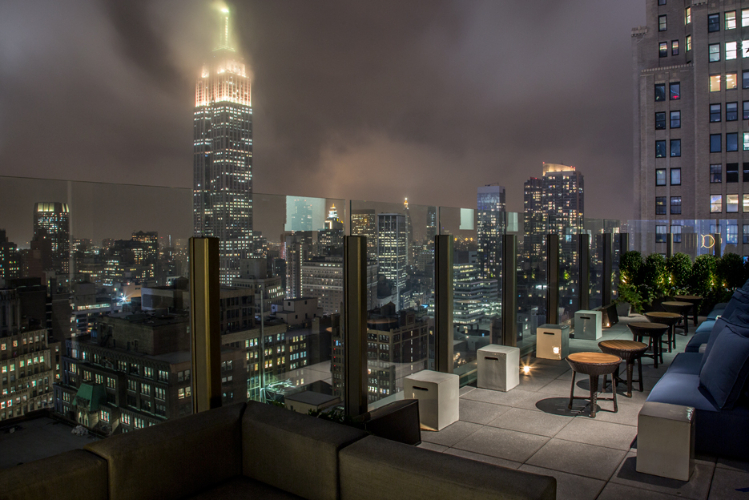 This premier Manhattan rooftop lounge is comprised of an open-air terrace and main room with floor-to-ceiling windows boasting a posh, yet inviting ambiance. 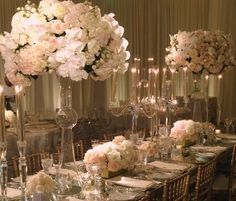 The unforgettable night is rounded out with a custom-tailored menu by the esteemed catering group, Abigail Kirsch. Located in Carroll Gardens, Frankie’s 457 is a neighborhood restaurant serving up Southern Italian comfort food. 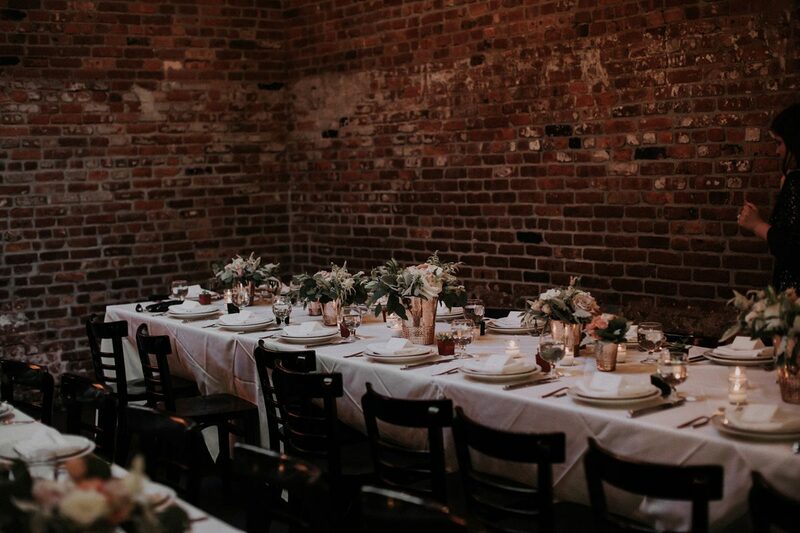 Housed in a 100 year-old blacksmith stable with an open garden, it is a great place to have an engagement party all seasons of the year. 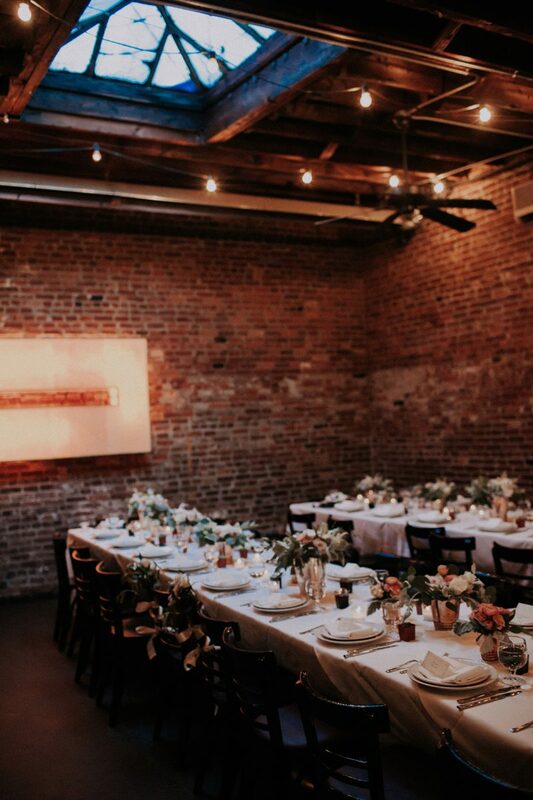 Think family style dining amidst an intimate setting of exposed, original brick walls, communal wooden tables, rustic furnishings, and moody lighting. A catered menu is accompanied by an expertly curated selection of wines from the restaurant’s neighboring-sister wine bar, FRANKS. Your dream engagement party would be a super-chill backyard cookout. Spacious backyards are a luxury that most New Yorkers do not have. Don’t give up on the idea just yet! 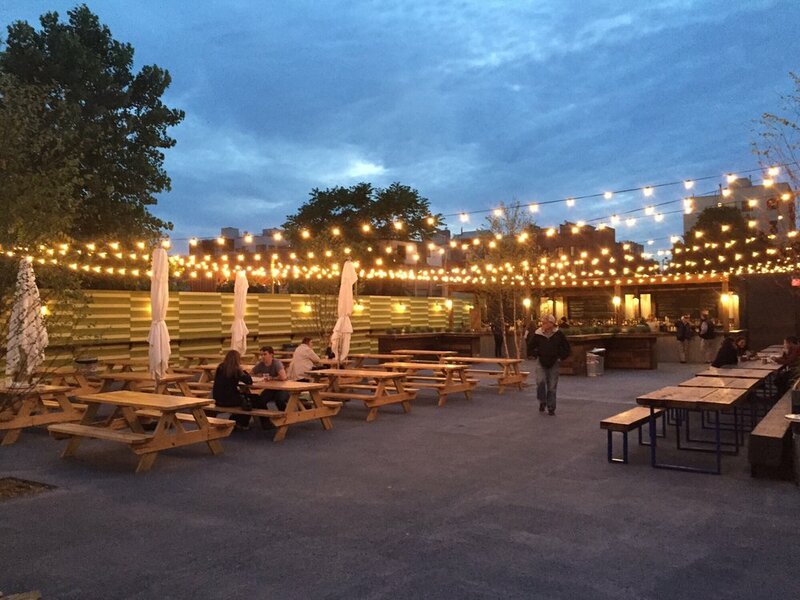 Located in Gowanus, Pig Beach has a huge outdoor space laid out with rows of picnic tables and string lighting. The menu offers a hearty array of pit-smoked barbecue while the bars (one inside and one outside) serve a good selection of beer, wine and cocktails in red plastic cups. Finger-lickin’ food and ever-flowing drinks under an open sky… these are the makings for a good time. Eleven Madison Park, 11 Madison Ave.
You’ve been planning a black tie wedding since the ring went on your finger. 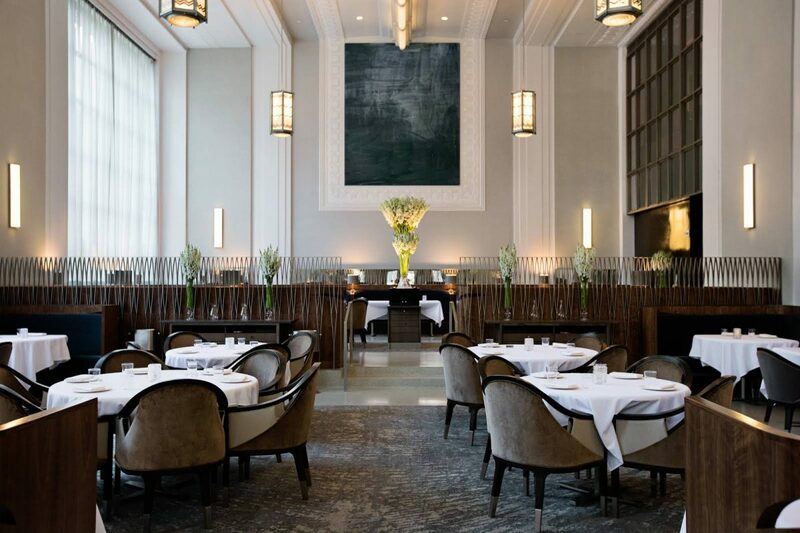 Situated at the base of a historic Art Deco building in the heart of New York City, Eleven Madison Park is the best choice for the modern couple that wants to announce their upcoming nuptials with a formal affair. Headed by chef-owner Daniel Humm, Eleven Madison Park was named the Best Restaurant in North America, 2018 (#1 in the world for 2017). Look forward to the ultimate fine dining experience with a Nordic-inspired tasting menu paired with world-class wines. 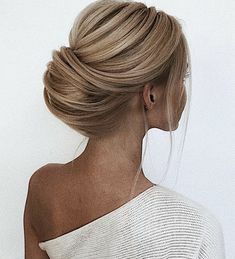 The period between the proposal and exchanging of vows is filled with joy, excitement, and if we’re being honest here, stress. 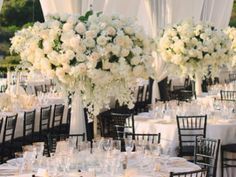 Whether you are still on cloud nine from having ‘just said yes’ or neck deep in the wedding planning process, it is important to take a moment to relax and relish with friends and family. 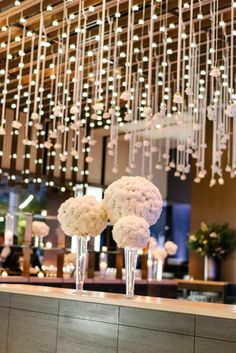 Representing the best of what New York City has to offer in food, hospitality, and atmosphere, these venues guarantee a party experience full of unforgettable memories for you and guests alike.